A malevolent spirit returns from beyond the grave in today’s showcase! 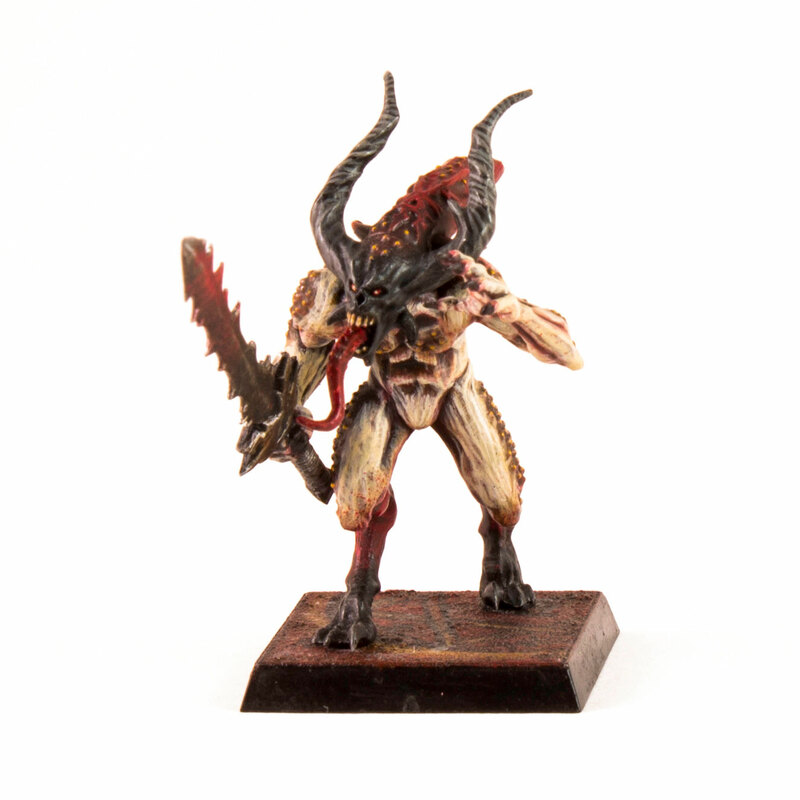 The Cairn Wraith is one of those wonderfully understated models – very simple design but perfectly executed and full of macabre character. 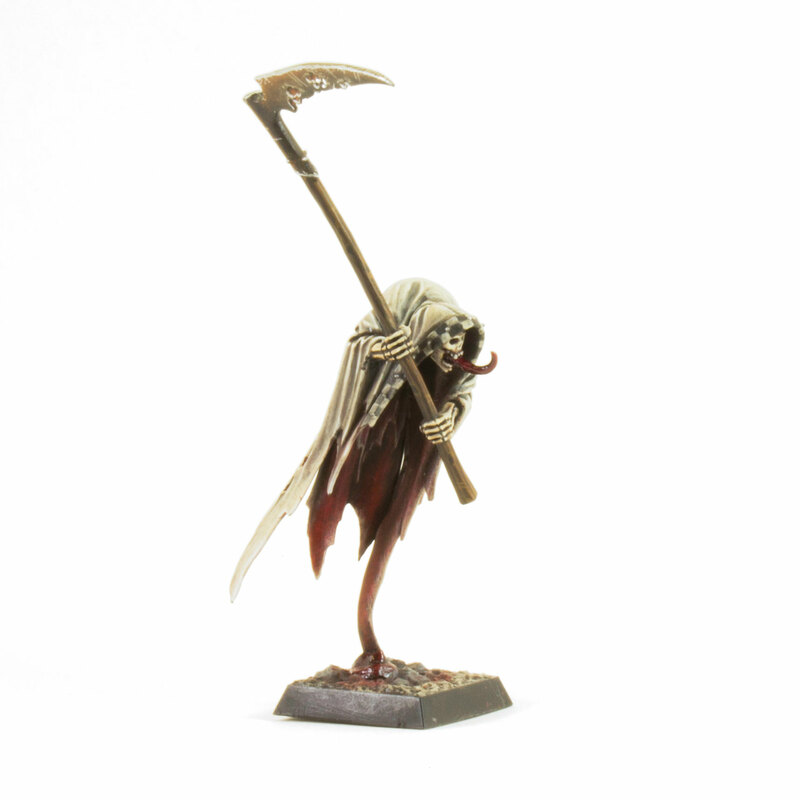 This is the first of several Undead miniatures we want to share with you. 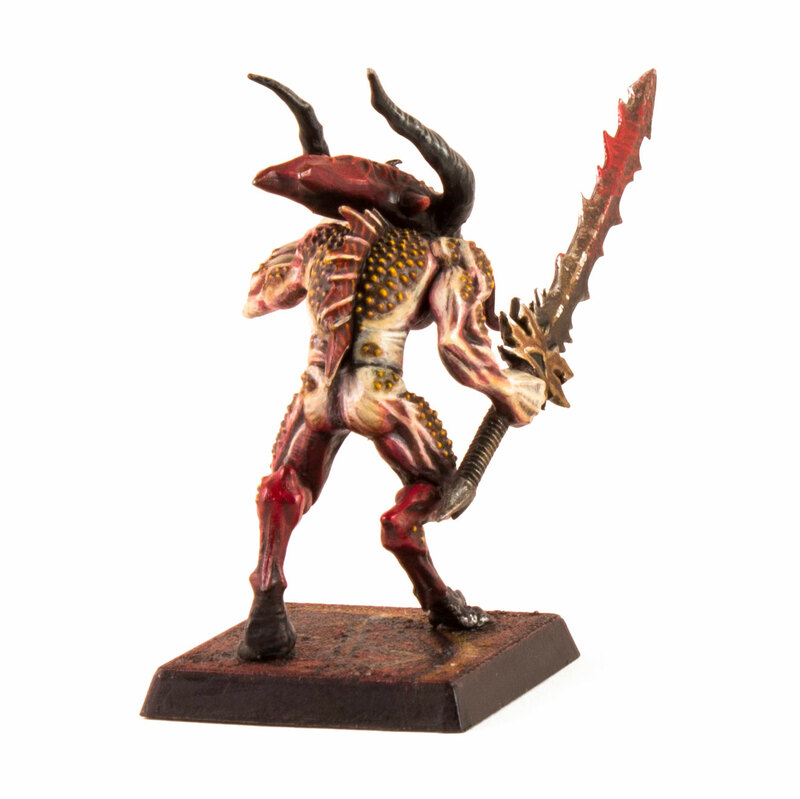 The palette is inspired by the reds, sepias and burnt umbers of John Blanche’s evocative Vampire Counts concept art. It was good fun to use a limited range of colours, starting with initially quite messy applications of brown and crimson, working up to successively more refined glazes of bone and off-white. 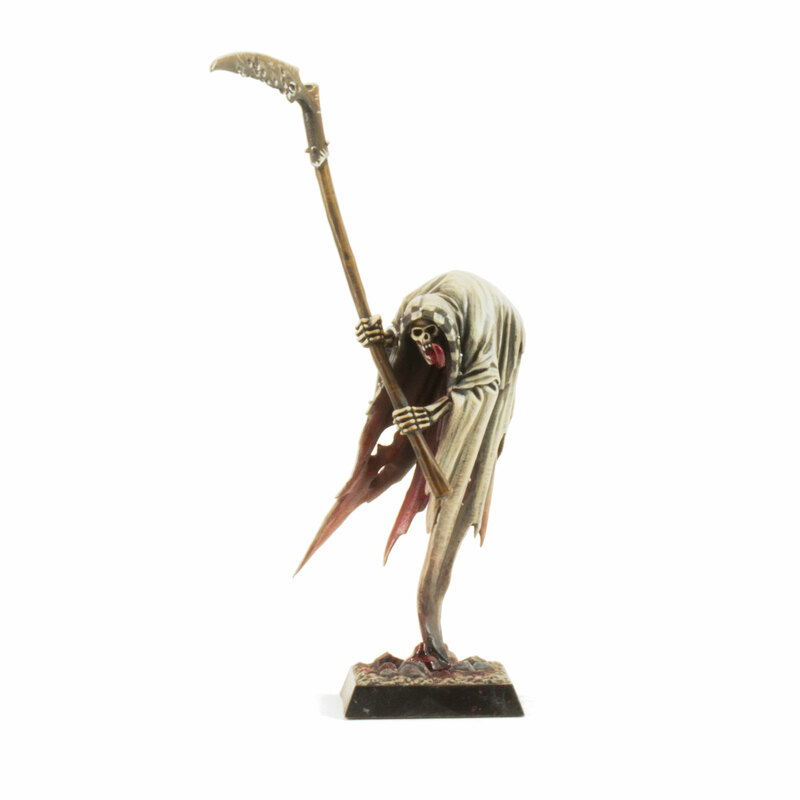 I like how the wraith seems to have manifested into a bloodsoaked death shroud – an effect that was completed with a few spots of Tamiya Clear Red. 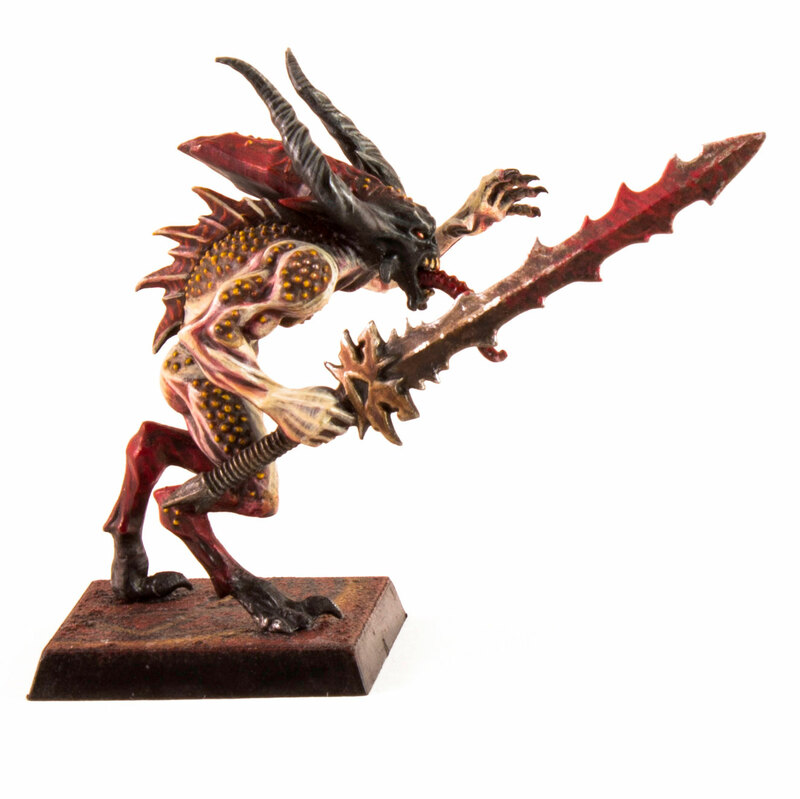 Given Games Workshop’s obsession with vanitas and memento mori symbolism in the Warhammer world (a big part of what makes it so cool), this model is something of a homage (an homage?) to John Blanche. I added the tongue from a Bloodletter to give it a creepy twist, and freehanded the checkered pattern around the edge of the wraith’s cowl – a motif ubiquitous in Blanche’s artwork. Hopefully this guy gave you the chills! We love to hear your feedback, so feel free to let us know what you think in the Comments below!